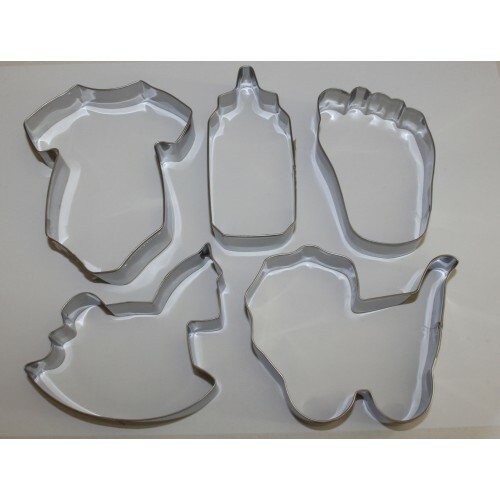 Use this cookie/biscuit cutter set to create decorated baby shower or first birthday cookies. Includes a basic cookie recipe to use with your cookie cutters. 609728250799 In stock and ready to ship.